We want 2016 to be a healthy and safe year for all of our readers and all of our neighbors here in Northern California. We also want to remind people that our personal injury law firm in San Francisco, Oakland, and Santa Rosa is here to help if you or a loved one is injured in 2016 due to someone else’s negligence, carelessness, or wrongful acts. 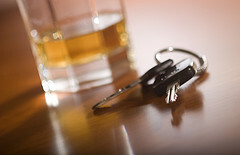 In this spirit, this blog post looks at a recent drunk driving accident and reviews the difference between criminal and civil drunk driving cases in California. According to CBS SF, police have arrested a 22-year-old man and charged him with suspected felony drunk driving and hit-and-run causing injury after a series of crashes in Petaluma. The series of incidents started around 12:30 AM Saturday when a pickup truck hit a parked vehicle on Mary Street near Petaluma Boulevard North. A woman who had been placing items in the parked vehicle’s rear seat was knocked over by the impact and suffered minor injuries. Reportedly, the driver fled the scene and then stopped at a nearby parking lot to examine his own vehicle. As he attempted to leave again, he backed into the store building damaging the establishment’s door and window before hitting a crosswalk sign on his way out of the lot. Officers later caught up with the man they believe was the driver and a test allegedly put his BAC at 0.13.
typically punishable by fine); Misdemeanors (more serious offenses punishable by up to a year imprisonment and/or a fine of $1,000 or less); and Felonies (the most serious offenses with punishments as high as life in prison or, in some states, the death penalty). Importantly, criminal defendants are presumed innocent and charges must be proven beyond a reasonable doubt. Although criminal cases are not about compensation, we must note that victims may receive compensation via California’s restitution fund. However, it is in civil court that victims really get their turn. Unlike criminal cases, civil lawsuits are brought by private individuals/entities against another individual/entity. Civil cases may involve financial disputes, personal injury cases, landlord/tenant disputes, family law matters, and a number of other types of issues. 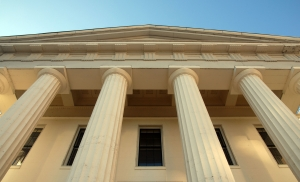 While criminal defendants are guaranteed an attorney regardless of ability to pay, civil disputants are not and must engage a lawyer on their own. In most civil matters, the case is decided based on a simple preponderance of the evidence or a “more likely than not” standard that is much lower than the criminal standard of proof. Looking at the story recently recounted by CBS, the felony drunk driving charges would proceed (if not settled or dropped) in criminal court and could result in the long prison sentence and/or a substantial fine. In civil court, the injured woman could bring a claim seeking compensation for her injury including her medical costs, lost wages, and money for her pain and suffering. While the prosecution in the criminal case would need to meet a very high burden of proof (often described as over 99% certainty), the civil case would have a much lower burden with the standard only requiring just above 50% certainty to find in the plaintiff’s favor. From our vantage point as a San Francisco injury law firm practicing in civil courts throughout Northern California, criminal cases are about punishing the defendant while civil cases, particularly in the personal injury arena, are about compensating the injured party. Often, people refer to this as “making the plaintiff whole,” but we know that no amount of money can ever reverse time and undo a serious injury or return a lost relative to a grieving family. Still, we believe that monetary compensation can make a difference and can help a person move forward. If you have been injured because of someone else’s actions (or inaction), you may have a civil case. Our California injury lawyer has nearly 20 years of experience in the civil law system and has represented many individuals and groups in personal injury, wrongful death, and other civil matters. In most cases, we use a contingent fee system meaning you only pay us if you recover money. Call to learn more and schedule a fee consultation. You have nothing to lose and so much to gain, emotionally and financially.